See the city in a different light as we travel through the illuminated capital at night. Hear historical tales about the fascinating history of Washington D.C. as you ride along the same streets the presidents have traveled. Along the way, we will make a stop at the National Christmas Tree including the "Pathway of Peace," decorated trees representing all 50 states and a stop at the Mormon Temple Festival of Lights. 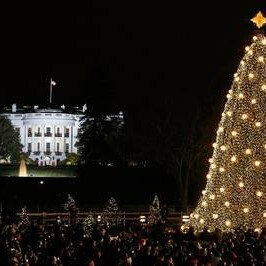 Dinner at Carmine's, U.S. Botanic Gardens, National Christmas Tree, Festival of Lights at Washington, D.C. Mormon Temple, Monument by Moonlight Tour and Transportation. Our first stop of the day will be at the U.S. Botanic Gardens. The exhibit is truly amazing and offers a unique exhibit featuring model trains and incredible replicas of Washington, D.C.'s most famous buildings and monuments. Each year there is a new theme with additional models. After free time to tour the gardens, we will depart for dinner at Carmine's. After dinner, we will depart for our Monument for Moonlight Tour. See the city in a different light as we travel by motorcoach through the illuminated capital at night. Hear historical tales about the fascinating history of Washington D.C. as you ride along the same streets the presidents have traveled. 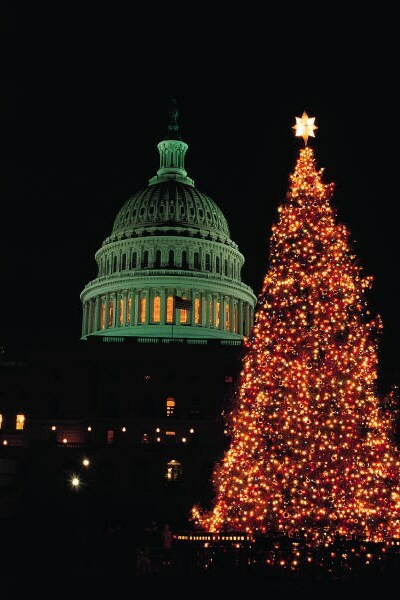 Along the way, we will make a stop at the National Christmas Tree including the "Pathway of Peace," decorated trees representing all 50 states. Follow the Pathway of Peace around the National Christmas Tree and view the state and territory trees with special handmade ornaments unique to each tree. 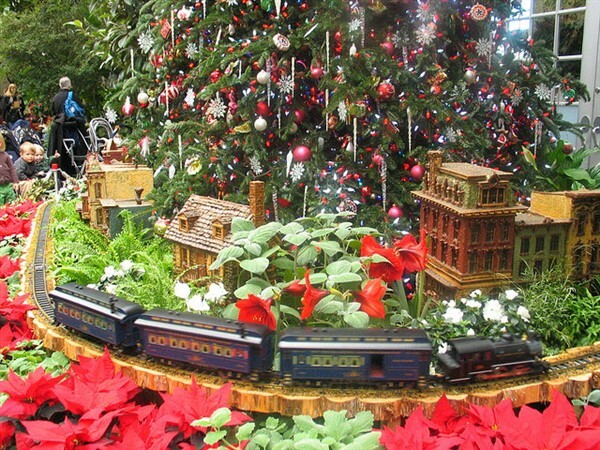 Make sure to also stop and watch the model trains travel around the base of the National Christmas Tree. 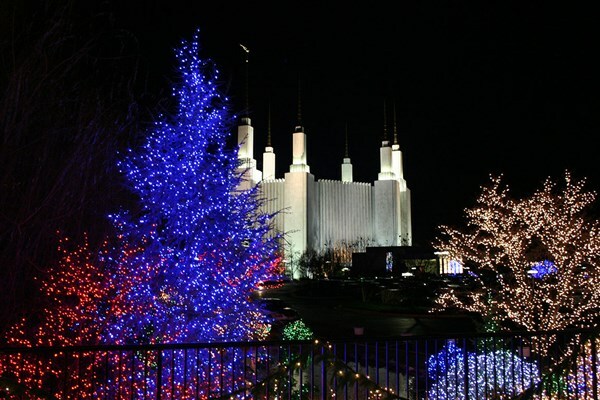 We will also make a stop at the Mormon Temple Festival of Lights. One of the D.C. area's great community traditions, the temple grounds are aglow with the Festival of Lights featuring 650,000 lights and Christmas trees decorated in international themes. After we finish our monument by moonlight tour, we will return home.